Affirmative Action is what we do! 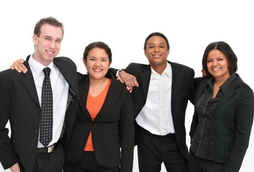 Let our experienced team of consultants assist you in achieving a successful and compliant Affirmative Action Program for your organization. Affirmative Action planning and maintenance is a top priority in addition to the HR Professional's day-to-day responsibilities. As an industry leader in the contractor community, we offer many solutions to achieve a compliant plan and diverse implementation strategies. 98% of our desk audits result in a "no deficiency" finding! Our compliance experts have extensive experience in the preparation and representation of our national client base throughout the audit process...from scheduling letter to closure. Our teams are ready to assist at every stage of the audit process. 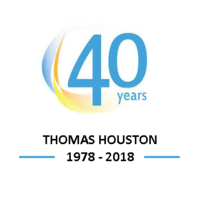 Your first step is calling THOMAS HOUSTON at 800.330.9000 #110. WASHINGTON – Due to the partial lapse in appropriations, the opening of the EEO-1 has been postponed until early March 2019. The deadline to submit EEO-1 data will be extended until May 31, 2019. The Equal Employment Opportunity Commission (EEOC) has posted updates to their EEO-1 Reporting page. The EEOC web site also indicates that further details and needed instructions will be forthcoming to assist employers with filing. It's time to begin preparing EEO-1 Reports for submission! All employers that are located in the 50 states and the District of Columbia and have at least 100 employees are required to file the EEO-1 report annually with the EEOC. Federal government contractors and first-tier subcontractors with 50 or more employees and at least $50k in contracts must file as well. The EEO-1 reporting data must be pulled from payroll periods between October 1 and December 31, 2018 with a submission deadline of March 31, 2019. Although the pay data requirement for the 2018 EEO-1 Reporting was placed on hold, the Equal Employment Opportunity Commission (EEOC) has maintained that the filing submission deadline will remain as of March 31, 2019. To view more information on the changes to EEO-1 Reporting and Filing, please visit the EEOC's questions and answers page. Visit the News and Events section on our website to access our Webcast on EEO-1 Reporting. Contact us for further information on how THOMAS HOUSTON can assist you with your EEO-1 Reporting for 2018.